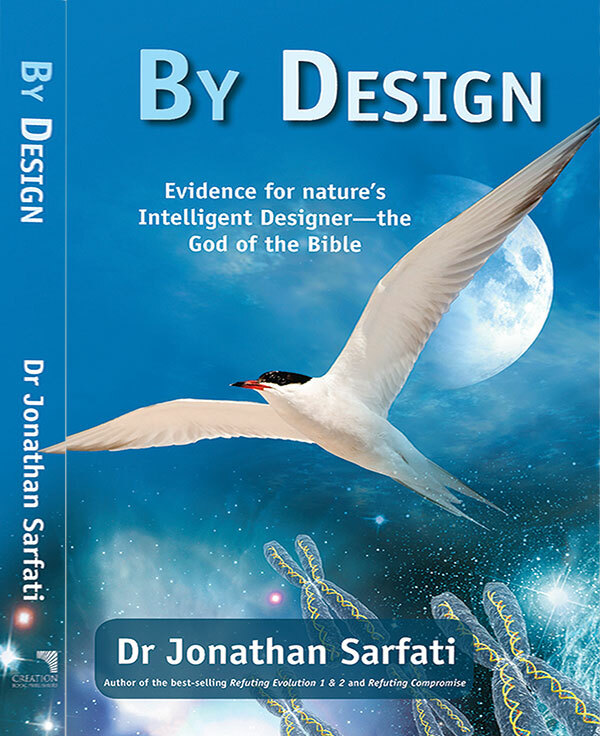 Evolutionists like to argue against creation on the basis of less-than-optimal (or sloppy, or flawed) design in nature. But optimal or supra-optimal design, is an argument that is perhaps not used as often as it could be against evolution. Natural selection acting on random change would not be expected to produce perfection, let alone result in over-design. This is because it is making claims about what a creator supposedly would or would not do. Since there are no design constraints on an omnipotent creator,2 the argument is inherently flawed. When a design in nature can only be described as perfection, even over-design, it is not something one would expect in a naturalistic, neoDarwinist world. In arguing as will follow, we can overlook, for the sake of discussion, the other problems and flaws with the neoDarwinian mechanism (NDM).4 We will focus on the fact that the NDM is only concerned with survival value (or better put, differential reproductive value, of which physical survival of the organism is only one part5). So when a design in nature can only be described as perfection, even over-design, it is not something one would expect in a naturalistic, neoDarwinist world. In short, the chances of it being produced by chance are vanishingly small. One well-known example concerns people who become blind. They are able to develop new neural pathways that give them amazing auditory and tactile capacities to partially compensate for their loss. Interestingly, when Braille is used, the visual areas of the brain are active. Similarly, deaf people actually process sign language with the same areas of the brain that hearing people use to process spoken language. This is known as cortical plasticity.6 But why should such mechanisms be there, if evolution is true? The NDM has no compassion, nor is it concerned with helping the individual. A person disabled in such a way would be rapidly eliminated, were it not for caring families and friends. But the NDM is stretched beyond credulity in attempting to explain such marvels. This is so even when one considers group or ‘kin’ selection possibilities. The group as a whole does not need such a ‘backup capacity’ to survive, even to thrive. Another example of over-design (i.e. way more than what is needed for survival of the individual or group) concerns the amazing capacities of the brain in rare individuals, far in excess of what most of us experience. This usually concerns functions such as memory, or calculation. It can also be evident in people who are otherwise regarded as mentally handicapped—so-called ‘idiot savants’, as depicted in the film Rain Man. Some people exist on this planet who can instantly recall all the details of what they were doing and what was happening on the news, etc. for any date you care to mention—even telling you at once what day of the week that was. Even if an amazing brain capacity only appears once in a billion individuals, it shows that the information for it was at some point coded into the human genome. Why should natural selection have achieved such stunning heights, when the rest of us clearly demonstrate that it is totally unnecessary for survival? No doubt, many of us can relate to this on looking back over our lives; the Fall has had its effects. Evolutionists were likely comfortable in the thought that this was to be expected. After all, blind selection for survival value is not likely to put together an optimal decision-making machine. It’s hard enough to imagine the brain’s enormous processing power8 evolving by naturalistic means, but at least they could be comforted by the prizewinning research mentioned above that the brain is far from perfect where it counts. When one looks at the decisions made by the unconscious brain, we generally make the ‘best decisions possible’. All of that has now been thrown back into the arena by the research of Alex Pouget, of the University of Rochester. Pouget, who is associate professor of brain and cognitive sciences, says that the earlier work referred to conscious decision making. Whereas, he says, most of our decisions are done unconsciously—for example, deciding to steer around an object in the road. And when one looks at the decisions made by the unconscious brain, we generally make the ‘best decisions possible’. This capacity for optimized decision-making was determined as the result of rigorous research using patterns of dots moving on a computer, and also observing the activity of individual neurons (nerve cells) during the decision-making. Of course, if the brain is routinely capable of such optimal decision-making, then it follows that in regard to this function at least, it displays optimal design. Evolutionary faith is hard to shake once established, but once one’s ‘eyes are open’ as they say, this is one more addition to the weight of evidence that makes it much easier to believe that ‘in the beginning, God created’. Optimally. And that even though we now see the effects of the Fall in a groaning, suffering, creation, it will be restored to full optimality in all respects, in that coming New Heavens and New Earth (Revelation 21:1). 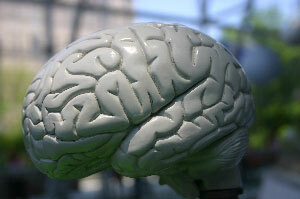 Our brain: Do we use only a small portion of it? See the articles under What about allegations of badly designed features? Return to text. It is sometimes said that an omnipotent God has no restraints, but this is not strictly true. God is not free to act contrary to His own character as He has revealed that to us, e.g. God cannot bear false witness. Also, God cannot act in logically self-contradictory ways, e.g. create a rock that is too heavy for Him to lift, or create a married bachelor. For more information, see If God can do anything, then can He make a being more powerful than Himself? What does God’s omnipotence really mean? Return to text. The favourite example is the eye, but for refutations, see <creation.com/retina> and <creation.com/fiberoptic>. Return to text. The chief problem being that neither natural selection or mutation can generate the required novelties, in an informational sense (specified complexity). See <creation.com/muddy> and <creation.com/beetle>. Return to text. A given gene has a better chance of getting into the next generation and hence being propagated beyond that again if it helps an individual organism to survive long enough to reproduce. But this is not the only way. It would be enough if, for example, it helped in reproduction and/or fecundity itself in some way. Return to text. See also Brain rewires itself in deaf, blind people-U.S. study, 30 November 1998, and this commentary by deaf-blind student in cognitive science, Krista Caudill. Return to text. ‘Our unconscious brain makes the best decisions possible’, physorg.com, in medicine & health/research, 24 December 2008. Return to text. 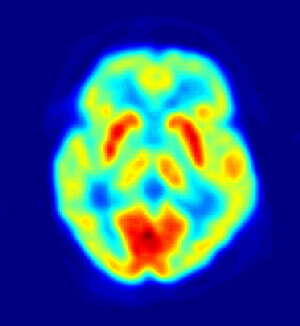 This is not meant to suggest that brain function is really analogous to digital computing. Professionals in the field will hopefully excuse it as a convenient shorthand. Return to text.